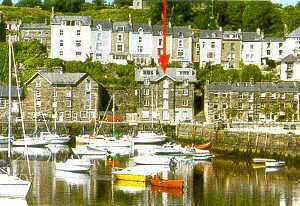 We had purchased a flat in the Cornmill building, overlooking Porthmadog harbour in 1997. This had 2 bedrooms and bunks in the entrance hall which meant we could comfortably accommodate all the family for weekends and short breaks. We started to rent it out as a business too. Then we purchased a second property close to which we asked Mark to recondition for us and we rented out this too. This was on the right at the top of the Grisau mawr. Mark then gutted our flat and modernised it. 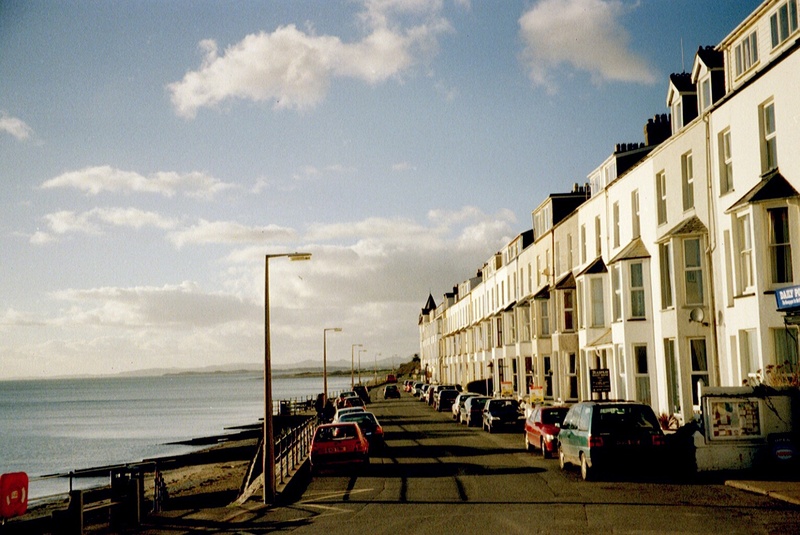 Property in Porthmadog was becoming increasingly expensive so the next property we bought was a four storey Victorian terrace on the sea front at Criccieth. This was in 2002. 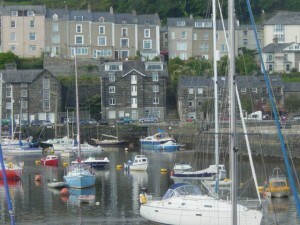 We had looked at these properties before but their size and the down-at-heel appearance of the terrace had put us off. Now we had more confidence, after our experience with the other 2 properties, and the terrace looked as if it was not so tatty. I found managing the 4 properties too much and suggested selling one. 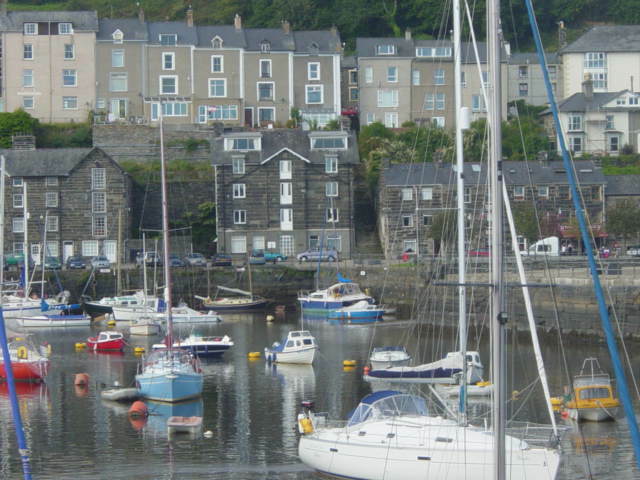 We were staying in Criccieth at the time and had decided that this was the property to sell as we had already done up the ones in Porthmadog. However, the day after we had visited the Estate Agents both of us decided that we wanted to keep our Criccieth house and instead we sold the one in Roche Terrace. We then set about obtaining planning permission to convert it into flats. Our first plans to divide it into three were objected to by neighbours and after 3 years we managed to get planning to convert into 2 flats. 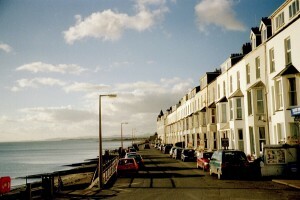 Roche Terrace was sold to a family that had holidayed there and fallen in love with the place.